Joyce Honsberger AOCA, SSC, SCA, is recognized for her unique space sculptures. She works from her Wind Poppy Studio, an experience in wonderment. The space is a kaleidoscope of two and three-dimensional work, adjacent to Arts Place Gallery of which she is the founder in 1992. She exhibits extensively, and has represented Canada for the SSC, in Sweden, Mexico, and Australia to name a few. She is also a partner in The Jordan Art Gallery in Jordan, ON. 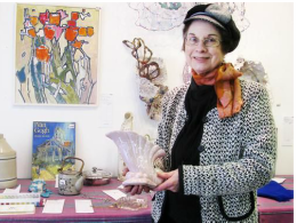 Arts Place Gallery is a contemporary fine arts and crafts collective with fifteen core and associate members. 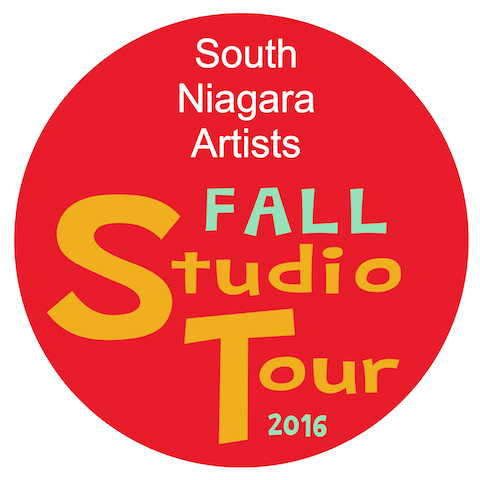 It offers ongoing exhibitions and workshops and encourages community participation. The space showcases painting, sculpture, glass, mosaic, jewellery, pottery and photography etc. The Gallery is open year round. 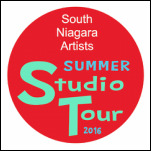 Thursday-Sunday, 12:00 to 4:30 p.m.